What can be better than violet lavender fields of French Provence? Just a bedroom decorated following the traditions of the south-east of France. 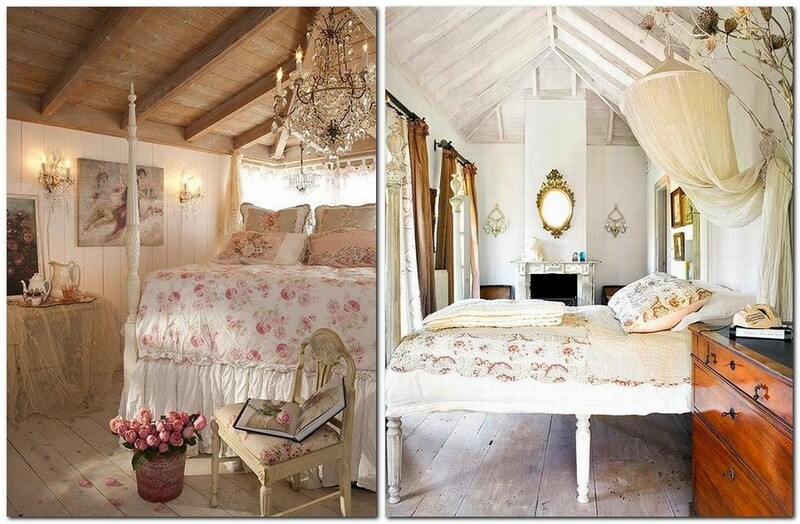 In today’s article we’ll have a closer look the most charming and beautiful bedrooms designed in style of Provence. Provence style loves natural wood: a bed, a chest of drawers, and the flooring – everything is made of this material. If the furniture looks vintage, it’s just perfect. Provence style followers either find the right wardrobe in an antique store or have their own new furniture artificially aged. 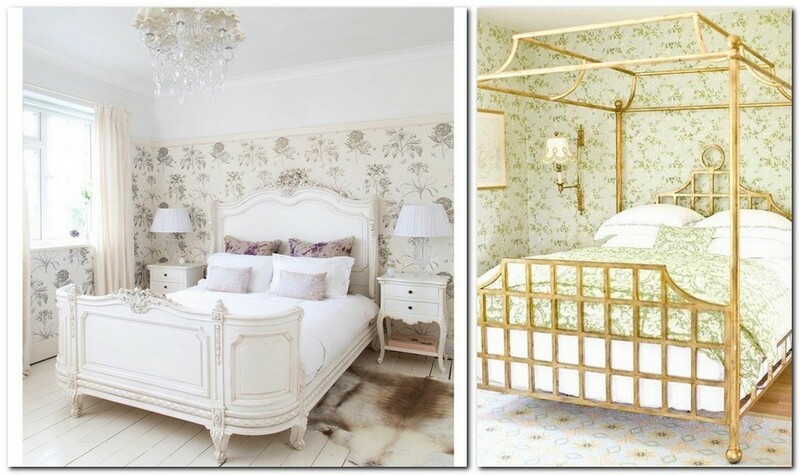 Floral motives are one more typical feature of Provence rooms. Here roses are blooming not just in vases, but also on artworks, bedspreads and furniture upholstery. 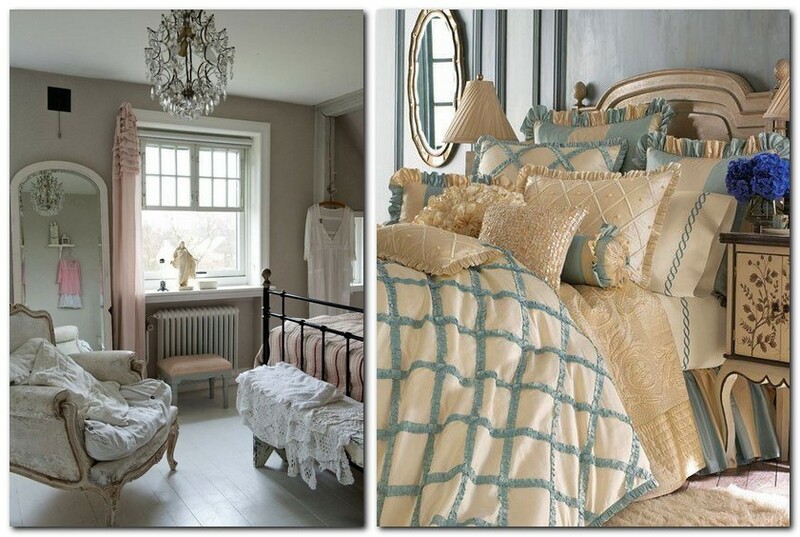 Beds on tall legs are not very widespread, but still very elegant, light and bringing the sense of airiness to the room. One of the walls can we coated with floral wallpaper, but the other three should remain white. Thus you will keep the interior more integral and foresee free space for Provence-style wall décor. And if you set your choice on combining geometry and floral prints, they’ll blend well if designed in the same color palette. Other must-haves of Provence style are plant ornaments and ruffles. And tiny padded stools can serve as a piece of décor and an additional sitting place. A big old arm-chair seems to be designed for Provence-inspired bedrooms. Just like a bunch of small couch pillows. 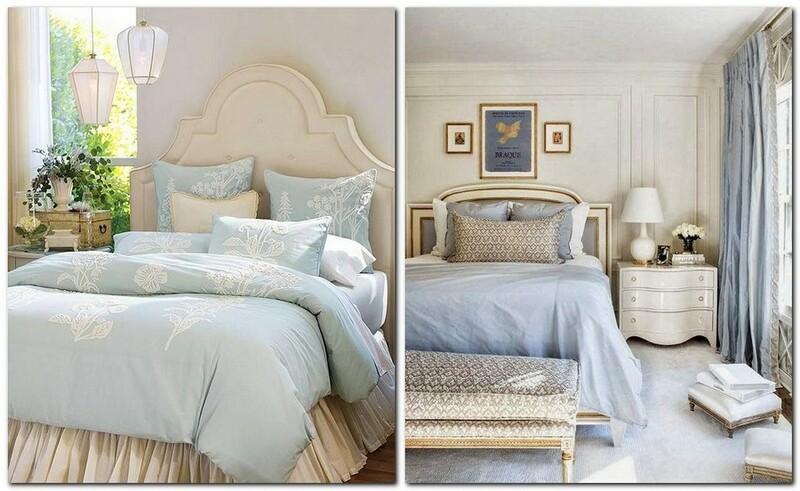 Here carved headboard is coupled with the same-style print of bed linen. In Provence rooms every item of décor must be in line with the general style concept and color scheme. 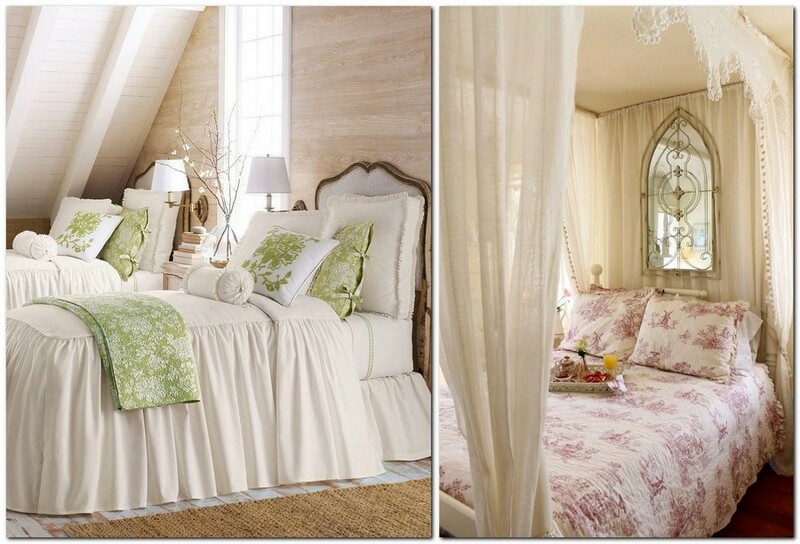 Elegant Provence-style rooms are most commonly very light. 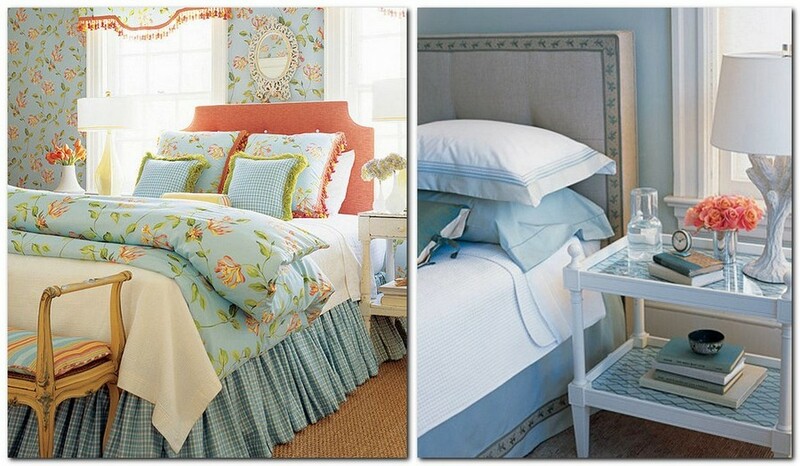 And a canopy bed will surely become a centerpiece. Green plant motives are more than welcome on Provence-style home textile. An unusual hand-forged mirror will add some light, and a canopy bed will bring a finishing touch to the atmosphere of French countryside. The more flowers, the better! 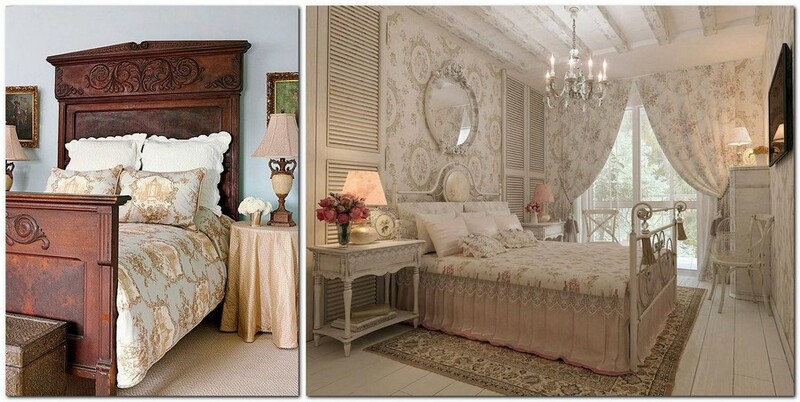 This is true about Provence style, and you can even choose the same floral motives for wallpaper and a bedspread. Remember that such interiors are never too bright: the colors are traditionally pale and “faded” hues of blue, lilac and pink. There’s no need to pick the furnishing from one collection. But all the items must have something in common and something, reminding of French Provence. 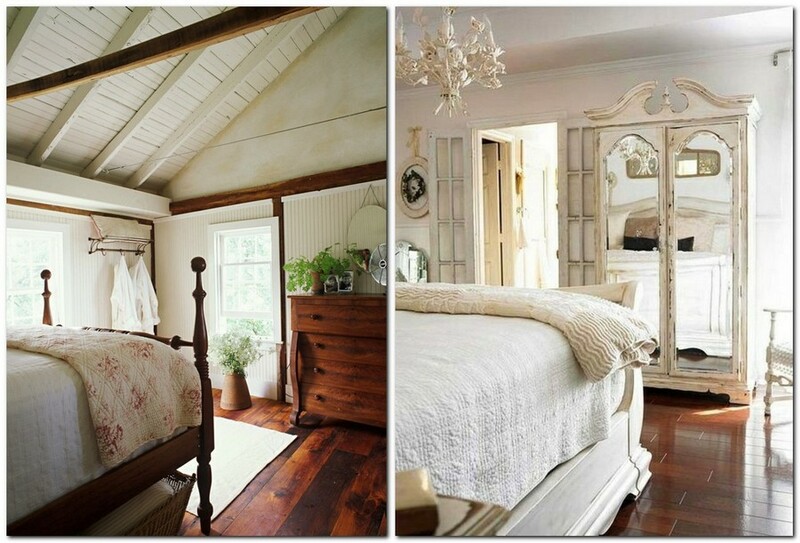 And countryside spirit of your bedroom can be enhanced with massive ceiling beams.